I live on a beautiful small island off the west coast of Canada. Salt Spring Island, population around 10,000, is an amazing place to grow live, with its healthy moderate climate, a strong culture of volunteerism and an extraordinary enthusiasm for the arts. There are 117 writers here and just as many potters and painters. Imagining Violet is available through Amazon or through my website:https://imaginingviolet.blogspot.com. I am a Goodreads Author and I am on Facebook. Wayne Turmel's latest, Acre’s Orphans is out in the world! You can order Paperbacks on Amazon, Barnes and Noble, and Chapters. The e-book is Kindle only Please help me launch it successfully by buying now. And any time you read a book like Imagining Violet (or one of mine,) please leave an Amazon or Goodreads review. It’s like applause for the author. Imagining Violet is an epistolary tale, which is something I have a cordial dislike for. Telling a story through a series of letters is very different from telling it as a straight narrative. It has a much different rhythm. People include things in letters, everyday details that wouldn’t make it into a typical three-act tale. I seem to have worn a three-act groove into my soul at an early age, so that’s a disadvantage for this book with me as a reader. However, as an epistolary story it was exceptionally well done. The world may have had a great deal of non-narrative related detail, but it was all vivid and felt incredibly real and authentic. Judging it as the type of story it is, I would say it’s very successful. The line editing is flawless. The main character feels three-dimensional and her personality leaps off the page. Violet is a young woman in 1892. She describes herself as born in Ireland, living in Scotland, but really an Englishwoman. She takes up studying music along with other liberal arts in Germany, a very demanding course of study that has her relying on tutors for months to get up to speed. We see pre-Weimar Germany through Violet’s eyes, and it’s a fascinating glimpse, with the education of a young violinist, social experiences of upper-class young women, ice skating on the canals, celebrating holidays—all filled with youthful exuberance, and eventually disappointments. Should appeal to historical fiction fans who enjoy the Victorian period. Or possibly Jane Austen fans who like epistolary formats. For these groups, I would highly recommend this book. When Violet is 16, she travels to Leipzig to study music there. She will spend the next four years there and return home eventually. But even then, she still corresponds with the friends she met in Leipzig. This is a work of historical fiction which draws a lot of inspiration from actual events. We follow Violet on her adventures in Leipzig, her return to England and end the book with Violet getting married. Her story is told through letters Violet writes to her friends and family. Although the story is set in the 19th century, it feels natural, in a sense. Fortunately, this was very easy to read as well as really enjoyable. I have found it to be quite difficult to read books set in the past if the author just overdoes it with the writing, but this book walked the very fine line between being unrealistic and just plain overdone. Another great thing about this book is that unlike with other “letter novels”, you actually understand the plot. Even though you only get to read one side of the story, namely Violet’s, it is still incredibly easy to imagine what all the other characters are feeling and their distinct personalities. On that note, allow me to freak out for a short while. The year of Violet and Frank writing letters to each other while Violet was unsure of his feelings for her???? Absolutely killed me. Now, back to being a #professional lmao. Minor spoiler alert: I found it very refreshing to read about someone figuring out that maybe they don’t really have an exceptional talent and that’s okay! Violet starts out wanting to be a performer but comes to realize that, compared with others’ , her talent just isn’t that extraordinary. She tries her hand at a couple of other things and comes to the conclusion that even though she does not have a grand undiscovered talent, she may still have a life she enjoys. This is one of the many themes that are as relevant back then as they are now. Going to live in a new city (and a new country! ), making a life for yourself and just finding yourself are things pretty much everyone has to deal with today and I find it reassuring that even people 130 years ago had the same struggles. Violet was not the only violinist in my family. On my mother's side, the "Dewey" side, my aunt Florence, born in 1888, also played the violin. And she managed to make a career out of her music. I've been dividing my time lately between promoting "Imagining Violet" - trying to expand my market beyond family and Salt Spring Island - and digging around finding out what I can about Florence. Turns out, there's quite a lot of neat information to be excavated. She did spend four seasons on Chautauqua tours, as my mother had always intimated. She did do an MA at Columbia University in 1942 when she was 54 years old. She did have a diploma from Juilliard. "Violet" has been been selling very well ... to friends and family ... as predicted. My initial print run of 100 copies is nearly sold out. Our wonderful local book store, Salt Spring Books, has also sold four copies. But here's the dilemma. Do I order more paper copies? And if so, how many? The flurry of friends and family is finished. 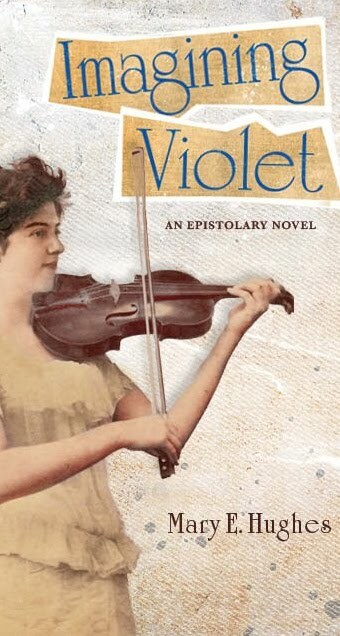 My focus now is to a) generate some reviews on Goodreads and Amazon and b) sell "Violet" to libraries. That's because in Canada, the Public Lending Right Commission pays authors a small stipend when their books are found in libraries. And for something completely different, I must report that one of the benefits of the book launch was the realization that red carnations last a very long time - nearly three weeks, in fact. So at Christmas, instead of the usual poinsettia plant, I bought a small bunch of red carnations - gathered some salal from our property, and for $4.00 I had a charming bouquet that has survived, with frequent snipping and water changing, until now, January 8th! When I first sought Beta Readers for Imagining Violet, I had an idea that it would appeal to a Young Adult audience. However, the first responses were not all that encouraging, and I began to accept that my readers would be people like me - likely older women with an appetite for Historical Fiction. Imagining Violet is a fascinating look into a young woman’s life in the 19th century as she learns about herself and the world around her. The reader joins Violet as she takes the plunge into the new and exciting world of studying music in Europe. Mary E. Hughes takes an interesting approach when showcasing the life of Violet, by using personal letters to family and friends. With the element of historical truth to the narrative, the reader truly feels like they have travelled back in time and are experiencing everything with Violet. This novel has a true coming of age narrative that will certainly appeal to the modern young adult who may be going through similar trials in their lives. Even though the characters live in the late 1800’s, the emotions and often the situations Violet faces are quiet relatable. For example, leaving home for the first time to study for years in a strange town/country is something most young adults go through by attending university. Therefore the reader cannot help but see part of themselves in the character and leave them wondering just how they would deal with their situations over two centuries ago. While in some letter or diary constructed novels the reader will only be able to get one side of the story, leaving aspects of circumstances with huge holes this doesn’t happen in Imagining Violet. Of course the reader only sees the letters that Violet writes but due to the comprehensive nature of the correspondence there is nothing missing from the overall story. In fact because Hughes chose to showcase not only Violet’s communications with her family but also with the friends, and even her romantic interest that she made during her years studying in Europe, the reader gets to experience every aspect of the experiences that she lived through. This makes the novel a truly unique and interesting read as the character of Violet develops and begins to speak candidly about her emotions with her friends while she is unable to do so with her parents; thus creating a multifaceted story and experience for the reader. 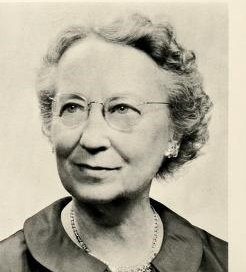 Through the use of letters Mary E. Hughes coveys a wealth of emotions that the reader has no doubt experienced in their life. Everyone at some point in their lives have thought that they were destined for greatness, had dreams that they were truly focused on achieving, only to see life throw them a curve ball and they have to find a new way in life. This is no different in Violet’s life as her dreams of being on the concert stage are dashed and she has to find a new way to find happiness; this journey of self-discovery is truly inspiring not only to witness but will no doubt also impact the reader’s life. While the author’s work is relatable to a modern audience, she has not lost the historical element throughout the narrative. This attribute works two-fold; it casts a light on the society for a woman in the late 1800s while also showing that people can still face the same complications and emotions today in their lives. Mary E. Hughes has carefully entwined 19th century life into her story allowing the reader to step back into the past and become completely immersed in the fictional world. She leaves no little detail out when she mentions a whole host of historical information, such as the conservatory where she studies, being founded and even the specific operas that Violet attended. Overall, this novel allows the reader to experience a time and a society in a way that the history books don’t. Mary E. Hughes has created a truly wonderful and insightful piece of historical fiction, which will no doubt be enjoyed for years to come by all ages. We had a very successful book launch at the Salt Spring Library last week. The room was pleasantly full, friends had baked yummy goodies, and the Salt Spring Chamber Ensemble entertained. I talked for a bit, and read a little from "Violet" ... and I sold more books than I had expected to. Thanks also to Gerald Tibbitts for the great pictures and my daughters Robin and Katherine for the beautiful flowers.